We rediscovered this loquat tree in our backyard today. The fruit tastes delicious and is full of vitamins A, B, and C. The kids described the flavor as a combination of lemonade, mango, and pineapple. 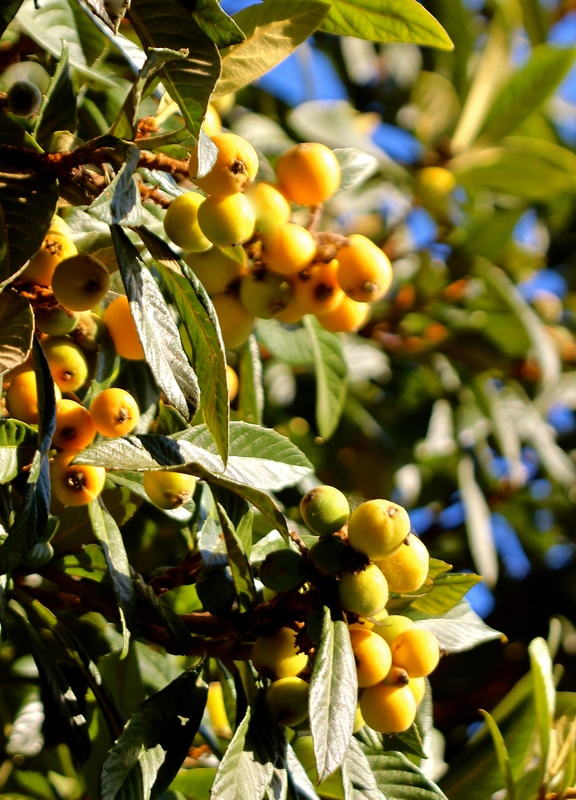 If you know someone with a loquat tree, try one. The fruit does not last long after picked (I read only ten hours) so you won’t find these in the grocery store. But fresh picked, they are bright and juicy. Just do not eat the toxic pits. On day 67 of this 365 day project, I ate my daily five (including some delicious grilled jalapeño and zucchini that were marinated together so the zucchini took on a nice warm flavor). Did you enjoy yours?